A PERFECT CIRCLE Share 2D Clip Of "TalkTalk"
A PERFECT CIRCLE share a 2D clip of “TalkTalk”, taken from the Steven Sebring directed companion film for the band’s recently released album, Eat The Elephant. Check it out on KNAC.COM HERE. “It is very much a combined experience of the tactile and the visual. I come from an era where the physical pieces of music were something that you cherished… Something like this brings back that visual excitement for people,” said Maynard James Keenan in a recent interview with Billboard Magazine regarding the hologram film. The 58-minute hologram, which unfolds through the eyes of a young girl over the 12-song album arc, reveals itself when fans place the prism on their smartphones and enter a special code. The prism is part of the Eat The Elephant deluxe box set, which can be purchased via the band’s web store HERE. 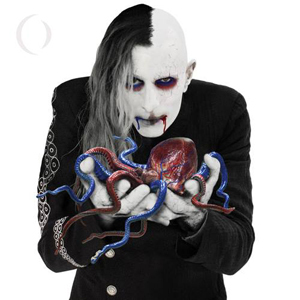 A Perfect Circle is in the midst of their first leg of U.S. tour dates in support of the 12-song album, having recently played Rock on the Range and Northern Invasion. The band heads to Europe in June for their first extensive tour of the continent since 2004.